Deloitte Consulting LLP (“Deloitte Consulting”) is one of the nation’s leading consulting firms for business strategy, operations, technology and human resources planning. We bring together a strong combination of experience, scale and capabilities to help clients address their most complex business problems. 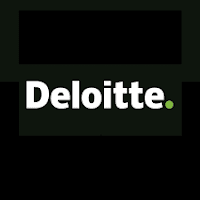 The organizational structure of our parent organization, Deloitte LLP (“Deloitte”) and our collaborative approach integrate our consulting services with other Deloitte subsidiaries offering tax services, financial advisory services, and risk management capabilities. Clients depend on us for straightforward advice and results that create value. We understand that people are our most precious resource. We also know that serving our global clients and helping them and our people excel demands a diverse range of skills, talent, experiences and backgrounds.